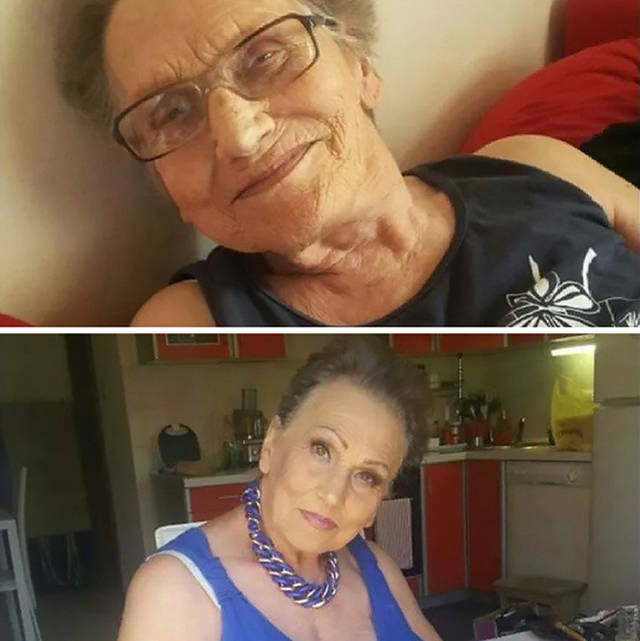 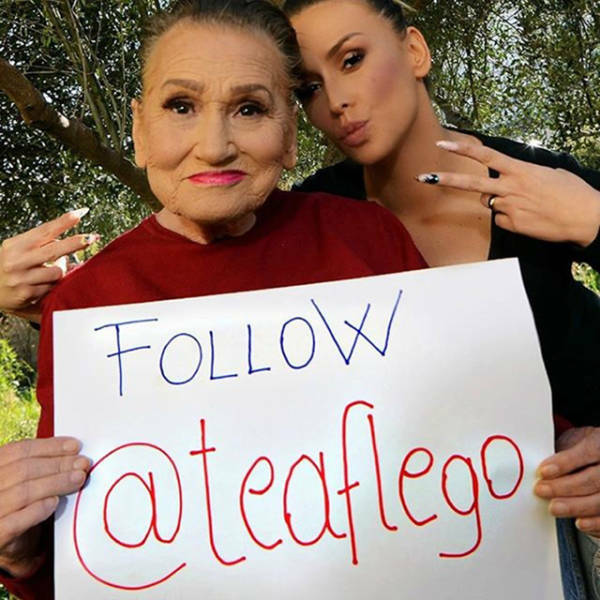 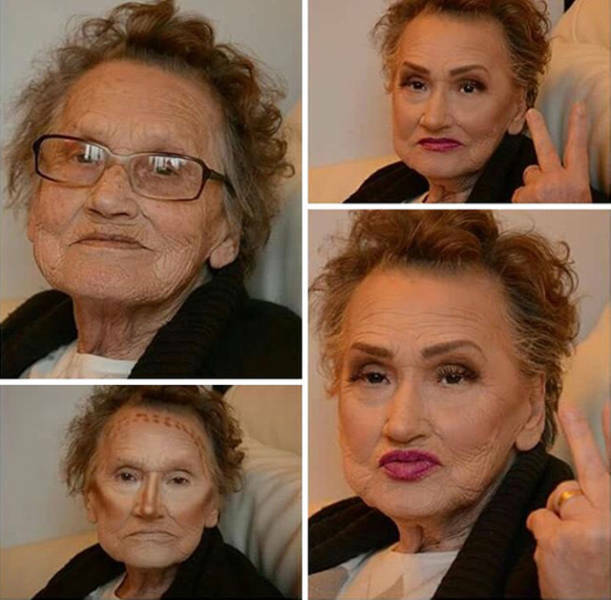 Croatian makeup artist Tea Flego made a stunning makeup for her 80-year-old gramma who became a real internet sensation. 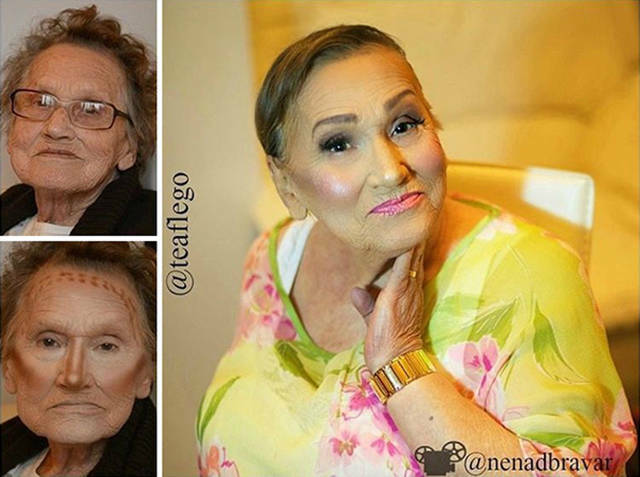 Thanks to a clever makeup, Livia the grandmother, shook off at least 20 years of age. 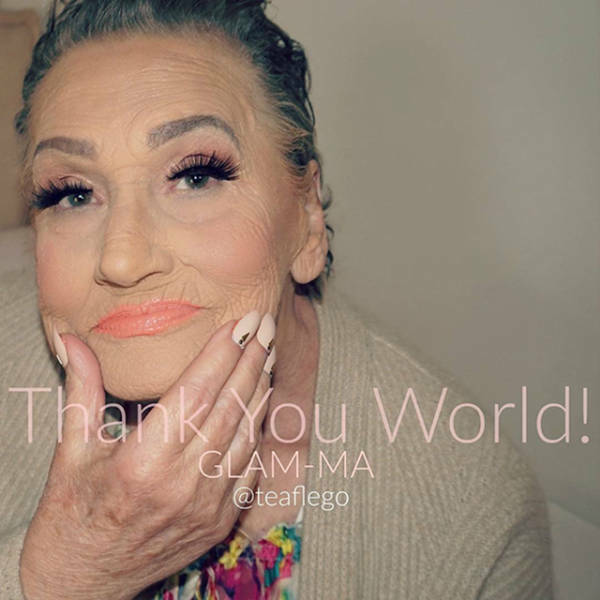 She was dubbed Glam-Ma online and is enjoying all the attention and her new looks. 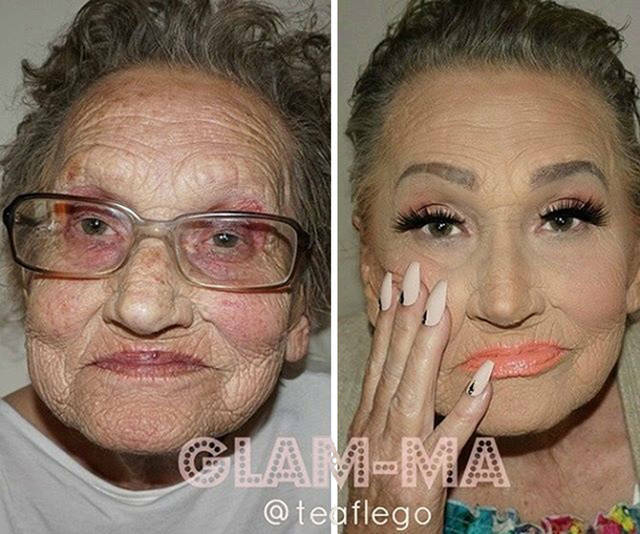 Yeah a thick coat of paint makes and old banger into a fine car again, or maybe it's still there underneath?